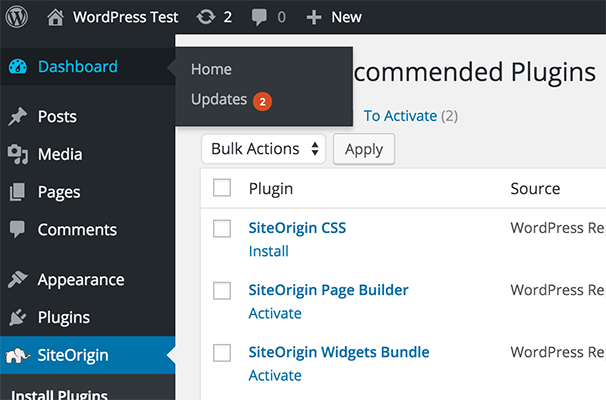 SiteOrigin Installer is a single plugin that installs all the most powerful, essential SiteOrigin plugins on a new or existing WordPress site. From there, you can also install a fresh copy of a SiteOrigin theme. Select all the plugins you want to install, then download and activate them all in one go. No searching for or uploading each individual plugin. All the plugins are free and they’ve been installed on hundreds of thousands of websites. 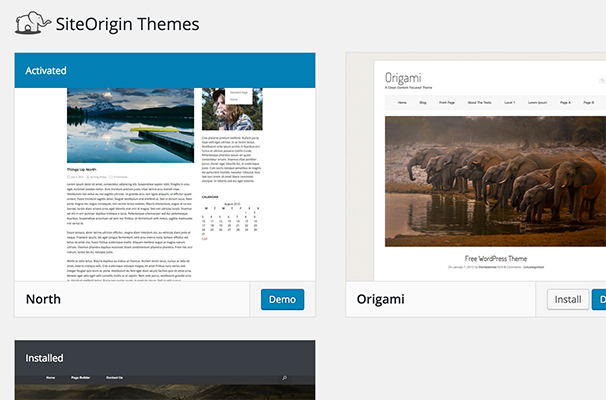 Choose a theme that you know will work seamlessly with our plugins. View up to date demos and then download with a single click. You can install different themes for free, then choose the one that best suits your needs. All the themes and plugins you download come straight from the WordPress.org directory. You know they’re safe and up to date. Most importantly they’ll stay up to date with the WordPress updates system..